According to 21st Century Learning, “We live in a society which is continually evolving and yet, somehow, it has become generally accepted that schooling should not change. Many still hold expectations that what “used to work” remains appropriate. But we are not the same, we are different. The world is different. Learning should be fun! 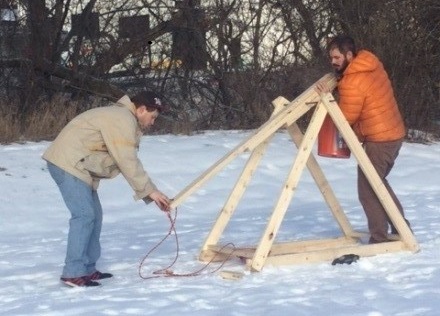 Featured here is a trebuchet designed and constructed in one of our math classes. Our classes are designed to engage students in traditional subjects while teaching them real-life skills. 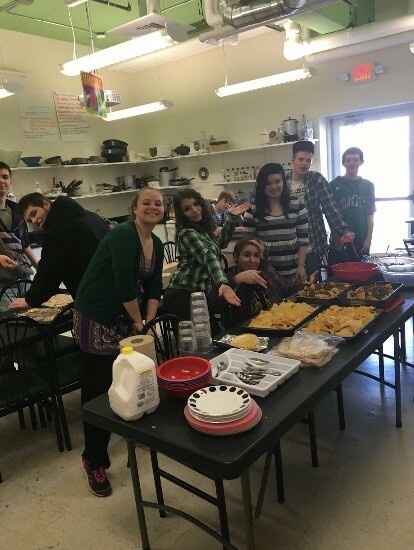 Ledyard Charter School offers a program that provides students with the important foundations of a strong curriculum; alternative education does not necessarily mean we throw out the functional and beneficial coursework and solely offer “outside-the-box” learning experiences. The wise person knows the benefits of combining the practical with the pioneering, the traditional with the innovative. Students at LCS reap the benefits of a program that meet the demands of the world – writing, reading, mathematics, history & science – without foregoing the valuable aspects of education and experience such as technology, world cultures, languages, social sciences, studio art, music, physical activity & culinary arts. 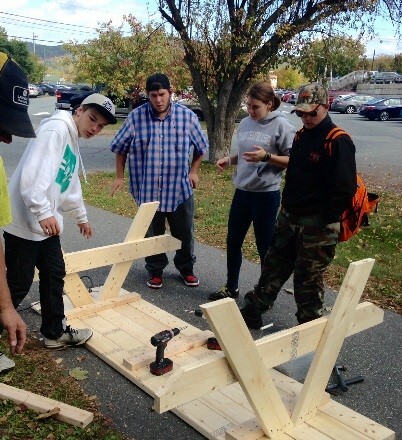 The LCS faculty delivers a challenging curriculum in inventive ways; we make learning relevant & fun. A standard diploma is received by earning 22 Credits and providing 20 hours of community service annually.